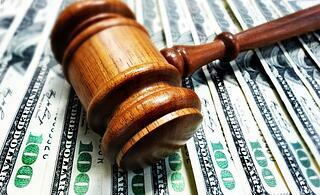 Ask New Jersey Personal Injury Lawyers: How Do You Know How Much Your Injuries Are Worth? How Do You Know How Much Your Injuries Are Worth? This is probably one of our most difficult questions to answer - especially in the beginning of a case. Every case is different and evaluating a claim is a dynamic and involved process. Much of the evaluation depends upon how injuries heal and if they heal properly. Clients typically want us to come up with a number to value their injuries. Because it depends a lot on how injuries heal, it is difficult to give a number at the beginning of a case. To be sure, the most important part of your personal injury case is figuring out how much your injuries resulting from an accident are worth. Hopefully, there is insurance in place to cover the injuries that occurred. Bottom line is that if your quality of life is affected and you have suffered personal injury because of the fault of another, our New Jersey personal injury lawyers recognize that you are entitled to compensation or money for those injuries. What type of analysis on the personal injuries is performed in arriving at the amount of compensation? When determining compensation, it is easier to add up numbers on things such as lost wages and damage to property. The difficult part is putting a value on the intangible losses that result from injury, such as pain and suffering and the loss of quality of life. These are actually the more important parts of the loss. Insurance companies are always trying to keep the number on a claim down because the lower the pay out the more profit they make. By contrast, our New Jersey personal injury lawyers in our firm want the highest number possible for our clients. From an insurance company perspective, an insurance company adds up the medical expenses related to the injury. The insurance adjuster will start with that medical expense figure in analyzing from their end how much to pay the injured person for pain, suffering, and other non-monetary losses. If the injuries are minor, an insurance company will take the medical expense and multiply by a factor as low as 2. If more serious and permanent injuries are involved, the insurance company will multiply the medical expenses by a factor of 5 to 10. In addition, the insurance company will usually allow for the amount of provable lost wages. On behalf of personal injury clients, our law firm argues against such stringent formulas of the insurance companies and seeks to obtain more money. It is helpful, however, to know how the insurance companies value the personal injury claim. In New Jersey and certain states, the extent each person's fault is an important factor affecting how much the insurance company is likely to pay. You may have to reduce the ultimate damage or compensation number by the percentage of fault of the injured person. For example, in an auto accident where the person hurt was 20% at fault for the accident and has $10,000 in total damages, their damages would be reduced to $2,000 based upon their percentage of fault. Thus, they would be entitled to $8,000. Determining fault for an accident is never an exact science. This is where creative lawyering is critical. With any personal injury case, our law firm prides itself on putting ourselves in the shoes of the injured person and understanding every aspect of how the injury has affected their life. This analysis is critical in effectively valuing the loss and damage the person has sustained. Contact our New Jersey personal injury lawyers today for a free consultation.